Ask for price769,92€ tax incl. Why do I have to pay tax? 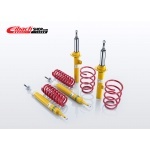 If not separately named, for vehicles with OE-lowered suspension, the dimension of lowering is reduced by the dimension of lowering carried out by manufacturer. In case of non-conformance the items must not be fitted - please refer to your dealer. Mounting - we recommend to have our spring system installed by a qualified workshop only, that has skilled personnel and the required special tools available. Mounting position - you can "read" the mounting position of the springs from the imprint - have them installed just the way you read the imprint. Wheel adjustment - after completion of the spring/suspension installation, checking the wheel adjustment is required. 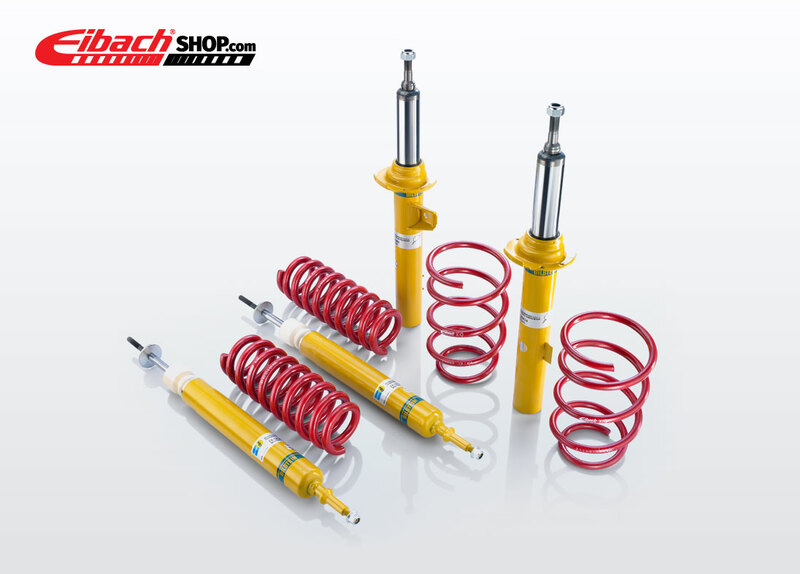 Shock absorbers - if the standard shock absorbers are not fully operative anymore and their efficiency has worn off considerably, we strongly recommend to replace those by new standard shock absorbers or by sports shock absorbers, if using lowering springs. This already can be necessary from 40.000 kilometers OE-damper-milage. Here all wheel/tyre-combinations are possible, which are released by the wheel type testing institution. The instructions in the wheel Components Certificate have to be adhered to, except for: OE suspension is required. Depending on engine, gearbox/transmission, equipment and vehicle tolerances lowering may differ from the values given. The dimension of lowering is reduced by the dimension of lowering carried out by manufacturer. The applicability of our products deals with standard cars. In any case of reconstruction (even with OE-accessory-parts), as the installation of an accessory-brake-system (e.g. ceramic-brakes), sport-suspension, LPG-(liquefied petroleum gas)-system for example, the usage of our products may be excluded. The stated measurements are referring to new standard cars. Measuring points: vertical distance from the middle of the wheel hub to the bottom edge of the mud wing. Generally the stated measurements are nominal values, which can vary depending on every car. If your vehicle has serial electronic damper control this will not be available anymore while using the B12- or Pro-Street-S-suspension kit. You will see a trouble code. This can be re-programed by an official garage/dealership. If available for your vehicle, we recommend to use Pro-Tronic to avoid the trouble code. Call us: (+48) 56 652 12 12 or send us email.